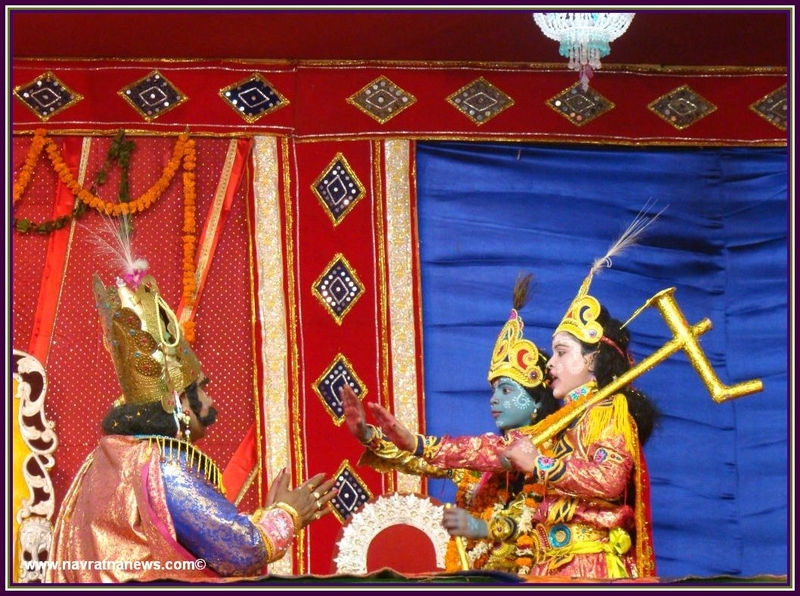 Bhubaneswar, Jan. 18: Maybe the white-clad Calcutta police should try out what “Kansa” is doing now in Bargarh in multicolour splendour to tame traffic rogues. A moustachioed man decked out like an ancient king has been making the rounds of the town in western Orissa, sitting atop a caparisoned elephant and barking orders every now and then. “ Hey, you! Stop, come here,” he beckons a truck driver on National Highway 6. The bewildered driver is fined Rs 500 for speeding and the potentate moves on with his colourful entourage. A little later, he hauls up a businessman for keeping his premises untidy and orders him to pay Rs 100. The “transgressor” meekly obliges. 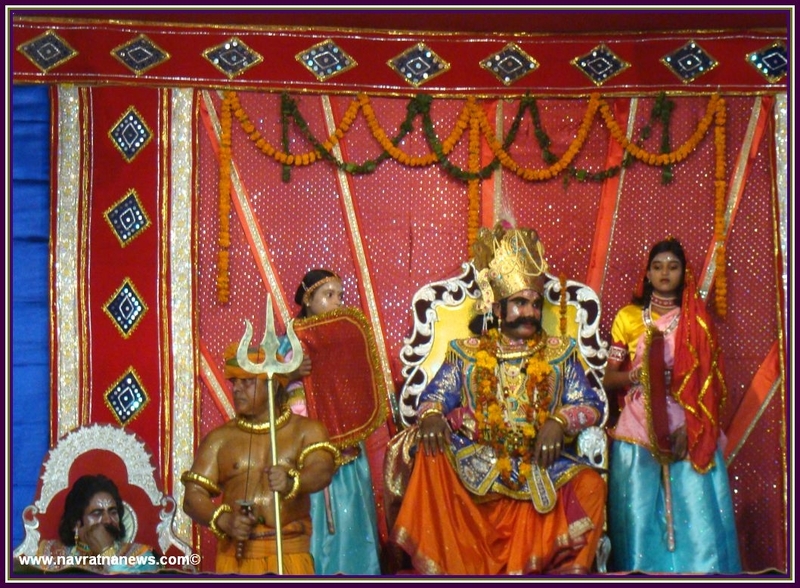 This is Kansa, the king who rules Bargarh-turned-Mathura during Dhanu Yatra, an annual theatrical extravaganza that re-enacts the story of the mythological tyrant who was eventually slain by his nephew, Lord Krishna. 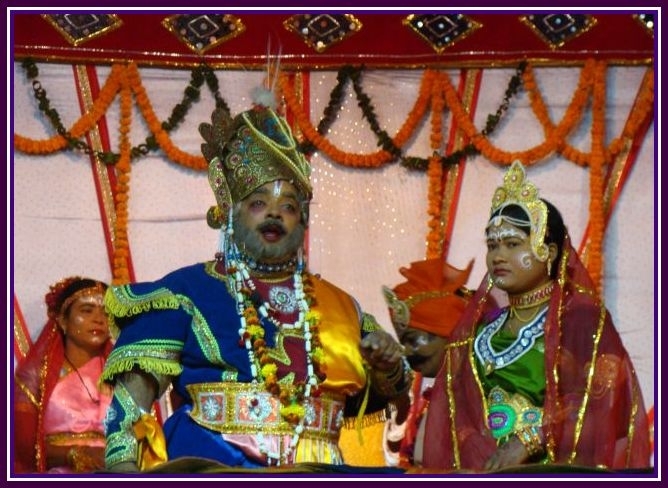 Held around this time of the year, the 11-day yatra, possibly the world’s biggest open-air drama, turns the whole of Bargarh into a mobile stage. 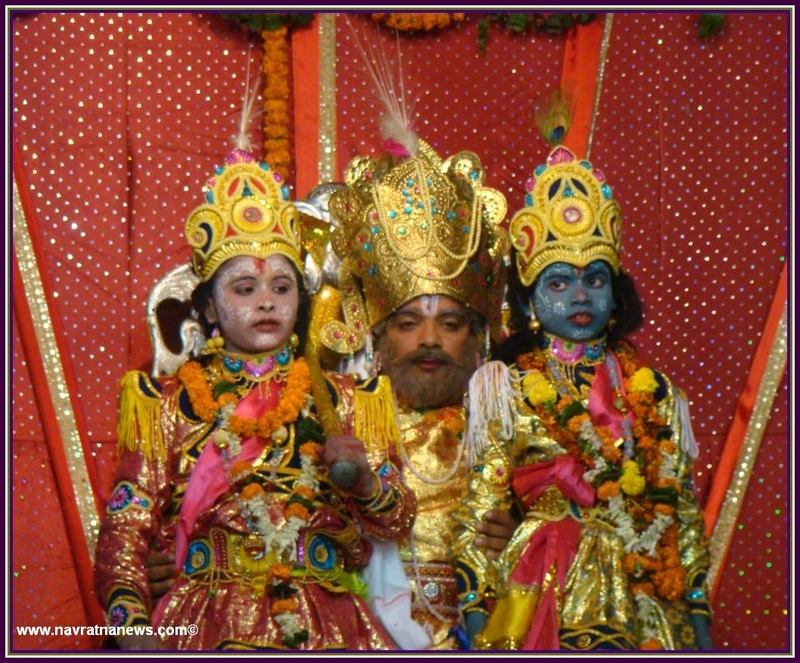 While the town itself becomes the city of Mathura, the river Jeera symbolises Yamuna. 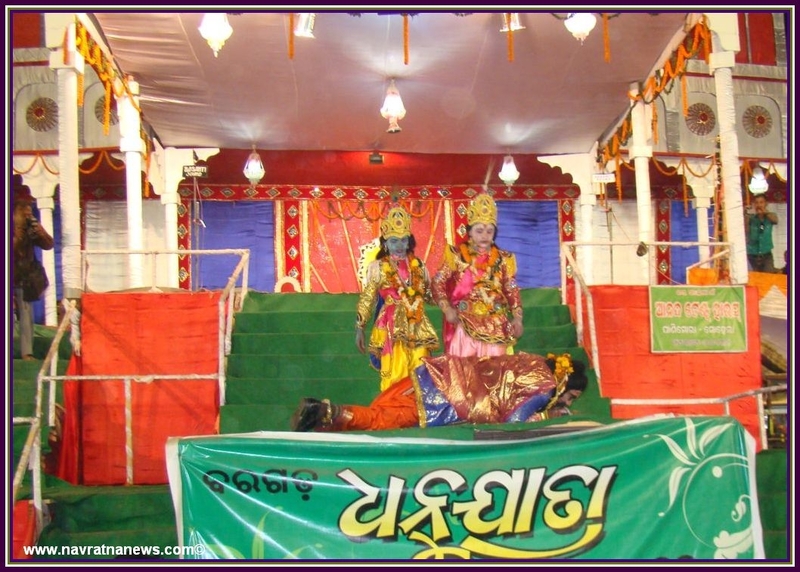 Ambapali, located on the Jeera’s other bank, turns into Gopapura where Krishna was brought up. 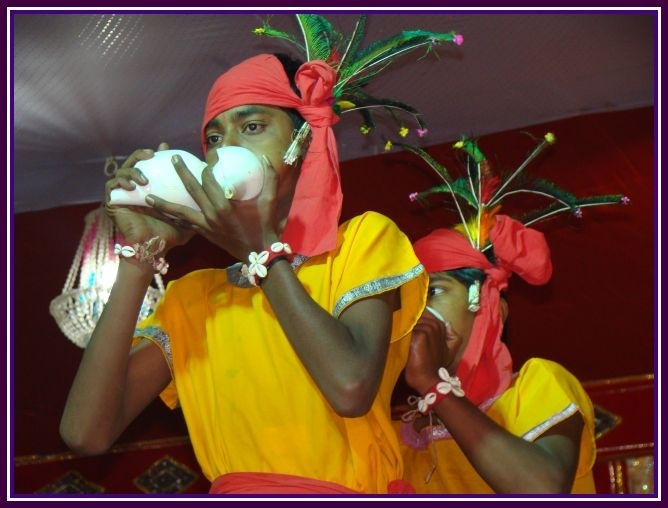 To be more precise, the story of Kansa, his death and the exploits of Krishna are enacted at 18 different locations in Bargarh and Ambapali during the yatra, which has become an integral part of western Orissa’s folk culture. 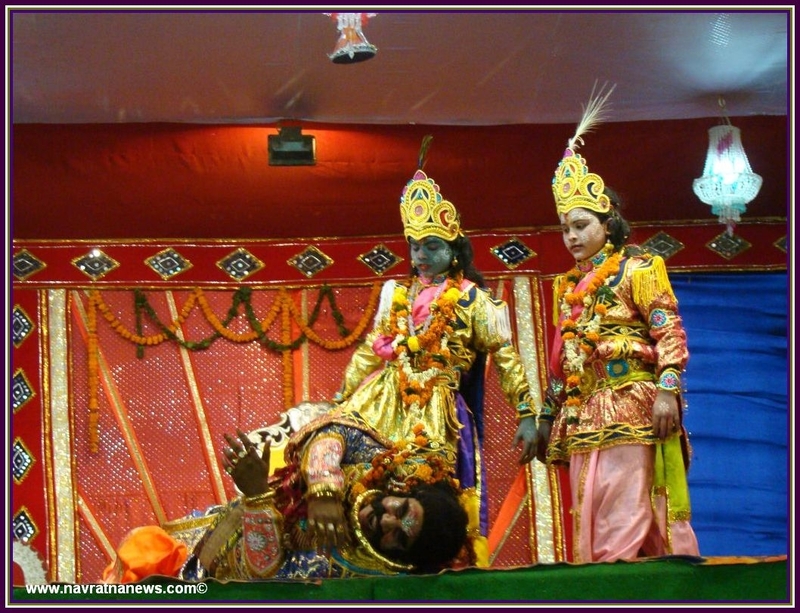 The uncle’s tragic end at the hands of Krishna, a symbolic victory of good over evil, notwithstanding, Kansa is the true hero of the yatra, his larger-than-life character keeping the audiences spellbound. 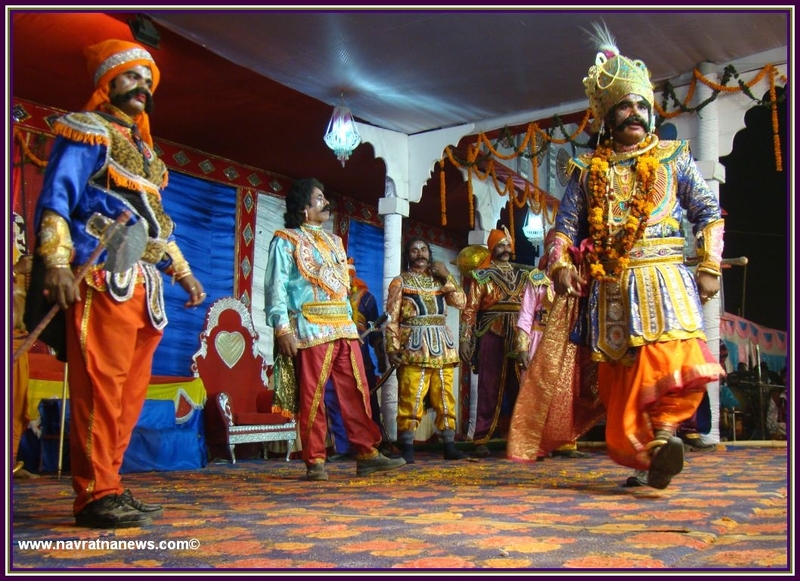 Striding across Bargarh like a colossus till his “death”, Kansa summons the high and mighty to his “durbar” and issues fiats that no one dares disobey. Even chief ministers have been known to do his bidding during the yatra, some discussing state matters with him. In the early 1990s, the then chief minister, Biju Patnaik, flew down to Bargarh in a helicopter following summons from the demon king. It is all good-natured fun. Even senior government officials play along with Kansa, lending a touch of reality to his aura. In the process, sometimes long-standing civic problems like garbage-clearing and erratic water supply in Bargarh get solved. 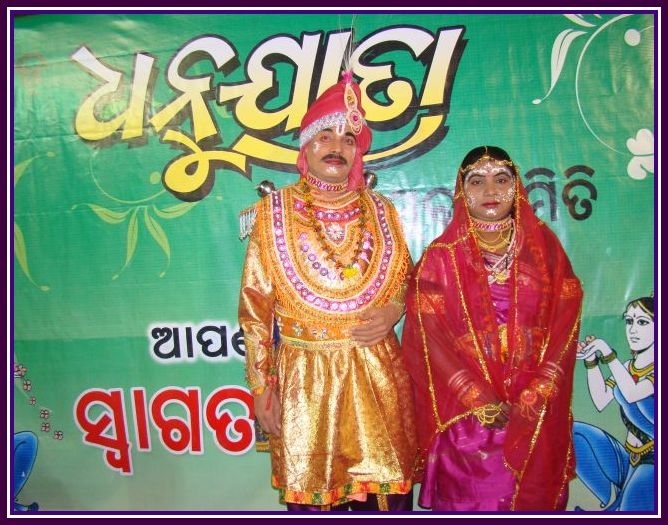 The man bringing Kansa alive on the Dhanu Yatra stage is a 38-year-old health department employee, Hrushikesh Bhoi, whose huge whiskers and boisterous laughter appear tailor-made for the character. Making his debut as Kansa in 2008, Bhoi has gathered a fan following, much like his idol, Gopal Sahu, the policeman who played the character for over 22 years. 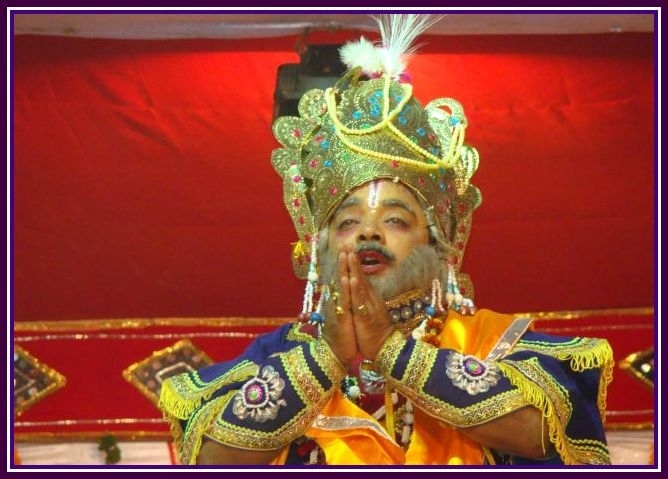 After each performance, Bhoi makes it a point to visit Puri to offer his apologies to Lord Jagannath for heaping calumny upon Krishna and conspiring to kill him during the yatra. 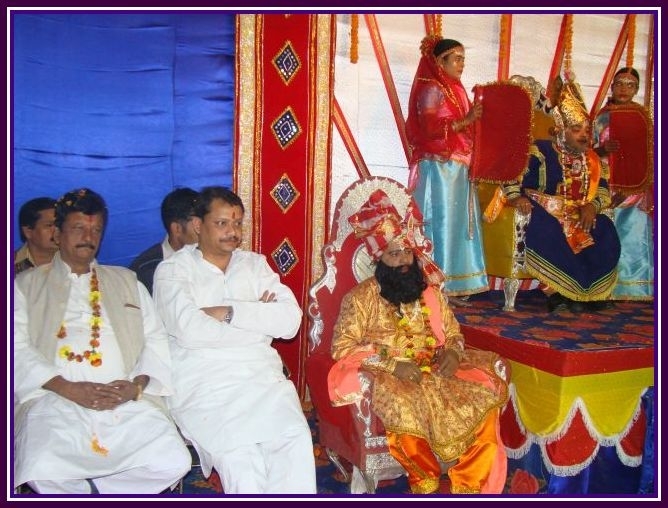 Dhanu Yatra, which was organised for the first time in 1948 to celebrate the country’s independence and the end of British rule that was often compared to Kansa’s tyrannical regime, is not just about drama. 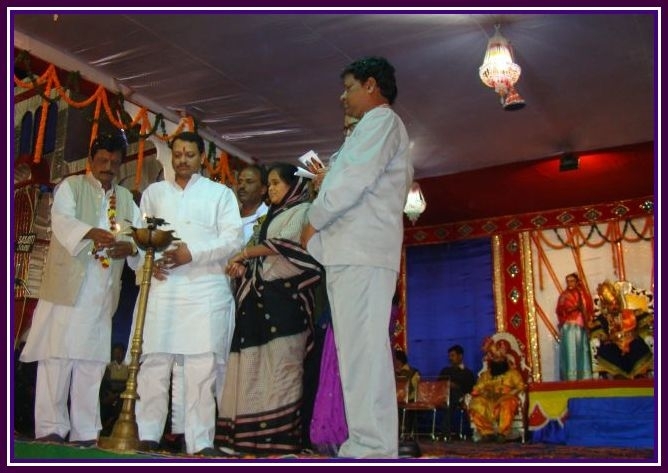 It is also an occasion to showcase western Orissa’s kaleidoscopic culture, especially its dance forms, with the king himself playing the patron. 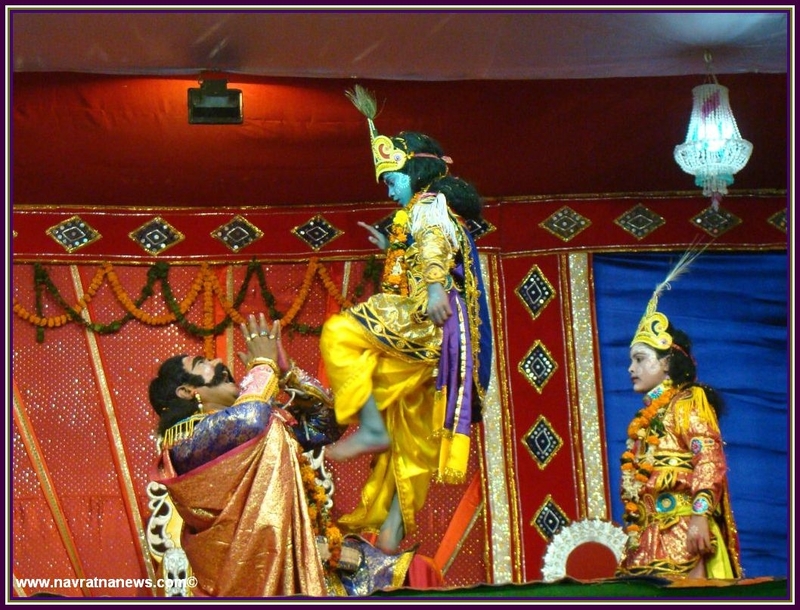 Dance performances are held daily at his court during the yatra to regale visitors. Kansa is dead, long live Kansa!